At Dermatology Specialists of Greater Cincinnati, we recognize that your choice of a dermatologist is driven both by the doctor's competency and personality. Dermatology Specialists of Greater Cincinnati offers dermatologists who are experienced, understanding and supportive. You get this caring attitude from all the staff at Dermatology Specialists of Greater Cincinnati every day. Our staff works together as a team to be sure we are responsive to your needs and keep you informed about your health issues. We look forward to getting to know you. Dr. Nancy Pelc is a board certified dermatologist who began private practice in the Cincinnati area in 1993 as an associate of Dr. Lee Vesper. She specializes in adult, pediatric, surgical and cosmetic dermatology. She is a member of the American Medical Association, the American Academy of Dermatology, the Ohio State Medical Association, the Academy of Medicine of Cincinnati, the Cincinnati Dermatological Society and the Women's Dermatologic Society. Dr. Pelc attended the University of Illinois at Chicago and the University of Cincinnati. Dr. Pelc is the mother of two sons. 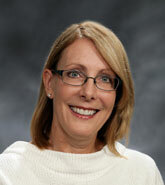 Dr. Denise Smith is a board certified dermatologist who began private practice in the Cincinnati area in 2008. 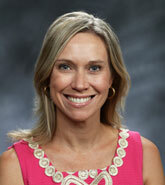 She specializes in adult, pediatric, cosmetic and surgical dermatology. She is a member of the American Medical Association, the American Academy of Dermatology, the Ohio State Medical Association, the Academy of Medicine of Cincinnati, the Cincinnati Dermatological Society, and the Women's Dermatologic Society. Dr. Smith attended the University of California Davis for medical school and completed her dermatology residency at the University of Cincinnati. She was Chief Resident of Dermatology during her final year. Previously Dr. Smith obtained her M.A. in Communication Disorders and worked as a speech-language pathologist for 10 years. At that time she chose to return to school to pursue a medical degree and specialize in dermatology. Dr. Smith is married and is the mother of two. Dr. Tiffany Pickup is a board certified dermatologist who specializes in adult, pediatric, cosmetic and surgical dermatology. She is a member of the American Medical Association, the American Academy of Dermatology, the American Society of Surgical Dermatology, the Ohio State Medical Association, the Academy of Medicine of Cincinnati, the Cincinnati Dermatological Society and the Women's Dermatologic Society. Dr. Pickup attended medical school and completed her dermatology residency at the University of Cincinnati. She was the Chief Resident of Dermatology during her final year. Dr. Pickup also has a Masters in Psychology from the University of Cincinnati and specialized in pediatrics where she worked in both Hematology/Oncology and Emergency Medicine at Cincinnati Children’s Hospital prior to obtaining her medical degree. Dr. Pickup is married to Jon and is the mother of three girls, Madeline, Emily and Claire. Megan Waters is a board certified physician assistant who began her career in dermatology in 2009 after lifelong interest. She grew up in Lake Placid, NY and came to Cincinnati for higher education at Xavier University, graduating in 2007. She completed her Master’s of Physician Assistant Studies at Kettering College of Medical Arts. Megan is a member of the Society of Dermatology Physician Assistants. Meghan "Meg" Jez is a board certified physician assistant. She is a Cincinnati native who graduated from Xavier University in 2008. Meg completed her Master of Medical Science degree in Physician Assistant Studies in Nova Southeastern University in Fort Lauderdale, FL. She worked in emergency medicine for three years before changing her focus to dermatology. Meg is a member of the American Academy of Physician Assistants and the Society of Dermatology Physician Assistants. She has a special interest in melanoma and skin cancers. Meg is married to her husband Marcin. 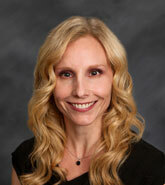 Tara Lair is a board certified Physician Assistant who recently joined our practice. She graduated from Transylvania University in 1997 with a degree in biology. After graduating from University of Kentucky's Physician Assistant program in 2001, she worked in Emergency Medicine for 15 years. In 2016, she changed her focus to Dermatology. She is a member of the American Academy of Physician Assistants. Tara enjoys spending time with her family, reading, running, and boating. She is married to her husband Bryson and has two children. Brittany is our licensed cosmetologist. Brittany received her cosmetology license in 2005. As an Cosmetologist Brittany is able to identify skin conditions and determine the appropriate type of care to correct or improve the condition. She offers chemical peels, dermaplaning, facials, as well as skin care assessments. Jessica is the group's Practice Manager. 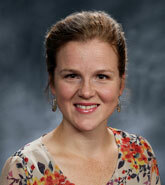 Jessica has over 10 years experience managing medical practices. Jessica is married to her husband Jeff and has three children.